Siddha Suburbia. Just different. 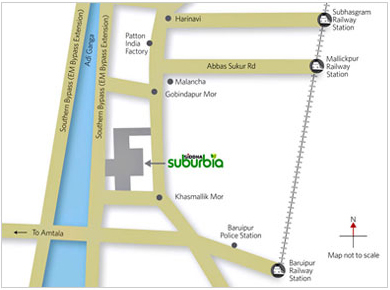 Siddha's latest offering in Kolkata's deep south. A one-of-its-kind residential opportunity. With the first rooftop Skywalk in South Kolkata. The 335 metre SKYWALK has been designed to spice up the life of Siddha Suburbia residents with its various features. Homes on the ground. Skywalk in the air. Promises to transform the way you live.